While this site is mostly about the wonderful habitat created by turning a 32,000 gallon pool into a pond, complete with occasional tips and tricks for doing this, it will also explore any Eco-friendly ideas, methods, best practices and Earth saving, life-changing activities. For my Conway community garden friends (and anyone else interested in organic vegetable gardening!) here are some links to sites with great info on Companion Planting and Integrated Pest Management (IPM) techniques for sustainable vegetable gardening. 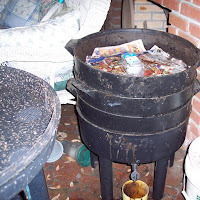 Followed by links about vermiculture (worm composting). And thank you for allowing me to participate in your great gardening adventure! EarthEasy website direct to "Guides"
Having a worm condo is a wonderful way to lower the landfill contributions as well as create a great addition to your soil and plants. I have a premade four-story "condo" that I bought, but worm bins can be made in many ways. No matter what kind of vermiculture structure you choose, there will come a time when the castings have to be harvested. Here in the heat of Florida, I can harvest castings as often as every three months. article is all about the harvesting process. This is the upside down lid. Note the worms all along the edges. They just seem to like it there. But it does mean I have to be careful not to squish them when removing and replacing the lid! You'll need a large bucket, new bedding, grit (optional) and newspaper or something else to spread the castings out onto for sorting. The bedding I use is coir. That's what is soaking in the water in the pitcher. Make sure to use de-chlorinated water. Also pictured in the lower left is a plant stand that will hold the top floors of the condo while I work the lower level. I have a bottle of frozen water, but that's only necessary in the 90+ degree summers. #3 Photo of frozen water in place to cool air. #4 Remove the top two layers. I suggest adding some food scraps to the top the day before your start. The purpose is to coax as many worms as possible up to the top layers. Then, the next day, remove the top two layers and put them on the plant stand. (left) Exposing the good stuff you can see in the bottom layer. Close up of worm castings - no odor at all, rich, dark fresh soil-like amendment for plants and yards. This is a better view; my hand is full of castings which in turn are full of worms! Add moist newspaper to the empty layer and put on top to keep moisture in while you sort. Just toss the worms you find into this bin, keep a little of the casting matter with them. Later I'll add the wet coir and another layer of newsprint. Top off pail with damp newspaper to keep in moisture. In 30 days repeat the sifting for new worms that are about to hatch! Prepare the new top layer as you did in the beginning. Add soaked, damp coir, grit and top with more damp newsprint. #13 A little damp wipe, lid back on, floor swept and Voila! All done! Some interesting facts for parties! One-liners to help make the point that grass lawns are passé! • According the US Environmental Protection Association, a gas-powered push mower emits as much hourly pollution as 11 cars and a riding mower emits as much as 34 cars (see Small Engine Rule to Bring Big Emissions Cuts). • Lawn and garden equipment emits 5% of the volatile organic compounds (VOCs) in the US, which cause health problems and contribute to ozone formation. • Mowers in the US use 580 million gallons of gas per year. • 40-60% of nitrogen from fertilizer runs off or leaches away, ending up in ground or surface water, including wells. • A 2001 Toronto Staff Report (PDF format), reported that using a commercial leaf-blower for one hour generated "498 times as much hydrocarbons, 49 times as much particulate matter and 26 times as much carbon monoxide" as a then newer-model car. • As of 2004, about 70 million tons of fertilizers were used on US lawns a year. 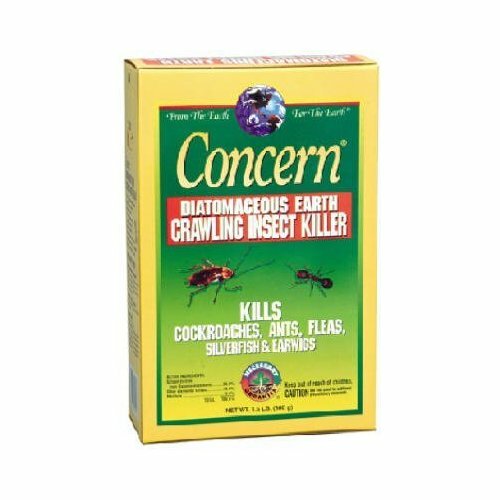 • A Toronto Public Health Report on lawn and garden pesticides (PDF format) claims that between 2004 and 2006, almost half the homeowners in Toronto used pesticides on their lawns. 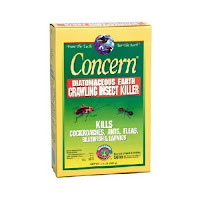 • The Virginia Cooperative Extension in its publication "Nutrient Management for Lawn Service Companies," states that some fungicides and pesticides can kill 60 to 90% -- or more -- of the earthworms where they are applied. • Americans collectively spend big bucks -- about $40 billion annually -- on seed, sod and chemicals. • The top four crops in terms of acreage in the United States today: Corn, Wheat, Soybeans and Grass Clippings. • And finally, this from me, mowing kills many beneficial caterpillars, spiders, lizards and other small creatures we are sharing our yards with. Check out the Organic Lawn Care 101 website for more great info and tips on making your own yard more bird/bee friendly! Yes, as basic as this seems, according to an Ohio State article* simple vacuuming can kill up to 96% of the fleas living there. Considering that the toxic topical chemicals claim a 99% kill rate, this is pretty good. And at least vacuuming doesn't leave toxins in your pets' tissues. One additional step is to add some Diatomaceous Earth to the vacuum canister or bag. That will kill any that survive the brushes and whirlwind. Don't forget the pets' bedding and furniture. Quick note on the cited article, it was from 2007 and since then we've seen some issues with the topical that the older article was unaware of when it stated that the topicals were devastating the flea population. In fact the topicals have led to a super flea that is not succumbing to the topicals. But that shouldn't surprise anyone, when the topical packages state that they kill 99% that leaves 1% to carry on and it seems that their offspring are immune. As a mechanical killing device this is great stuff. Known as DE and used as a filtering agent for pools, DE is finely ground skeletons of lichen that act as cut glass on an insect's exoskeleton making them die fairly fast of dehydration. This stuff is only dangerous if breathed in. So don't use it in front of a fan! It doesn't work once it gets wet, so it's not useful outside. Sprinkle it on the carpets, leave it for overnight or as long as practical and then vacuum it up. On wood floors, sprinkle around the parameter and sweep across the floor so it gets into cracks. Do this AFTER any mopping, since as I said before, it doesn't work once it's wet. 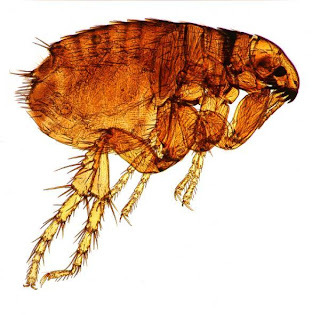 I had a horrible outbreak in our detached garage, literally could see the fleas jumping, hundreds or thousands of them! I sprinkled the DE all around and throughout. Then I walked away for a week. When I stepped back into the garage, nothing. Not a single flea jumped on my legs. I swept it into a pile and vacuumed the pile. Amazing stuff! The trick here is to find a great comb and place the captured fleas into soap water. The first part is hard. I am still using my great flea comb that I bought about 10 years ago for under a dollar. 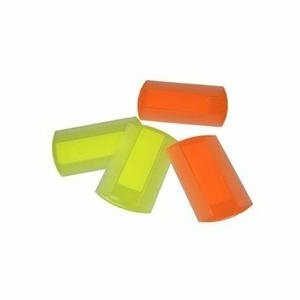 These cheap little plastic combs, when the tines are tight enough, get all the fleas, eggs and flea dirt off your pets. Personally the little plastic cheap combs work better for me than the more expensive steel ones. I have tried the more expensive ones with handles and they worked better on my American Eskimo dog with her super thick coat. But for my DSH cats and ferret, the little guys are better. Most how-to's say to dip the comb into the soap water. I find this a total mess. I comb then flick the tines to shoot the fleas into the water. You'll aways get some pet hair on the comb and when the comb gets wet it's just yukky, that's all I can say. Use a flat-bottomed container 1/3 filled with water and a dash of dish soap to dump the fleas into. I say flat-bottomed since pet grooming always has the chance of becoming messy and I'd rather not knock over a bowl of dead fleas and fur! I use old large yogurt containers. My cats love this time together and virtually line up at the couch for their turns! I do this while watching TV. I dump the water out by my compost pile after it has sat for at least 30 minutes. I have added garlic and yeast powders that were made for pets to my pets' food in the past. It seems to work, and there is the added benefit that these things are good for our pet in other ways too. It's primarily the garlic that repels the fleas. I found a pure garlic powder for horses at PetsMart once and sprinkled it on the food. Since I also do all the other things listed here, it's impossible to say how much this contributed. For dogs and ferrets, a good bath is a good start. I would vacuum, DE and comb first. Then the bath will get the few remaining fleas and once gone, the carpets won't re-infest. Just remember when you bath the pet it is not the toxic chemicals that you need so much as the solid 5-10 minutes with the soap soak! Once the pet is wet, apply the shampoo and lather like crazy, touching on all the favorite flea points, the base of the tail, the ears, the under arms (legs), under the chin, etc. The hard part is keeping the pet still for at least 5 minutes and the more the better. It's the time that kills the fleas. When they get wet they "lock down" onto the pet. It takes that much time before they release some and can be washed off. Then make sure the pet is rinsed very thoroughly since any shampoo is drying on a pet. Dry time is always the pet's favorite and just like with the combing, it's a great bonding time. Use a large absorbent towel and have fun! I've heard that those large shamwows really do a good job. I personally don't believe in bathing cats unless they have a skin condition that requires it and then only under the care of a Vet. So there you have it. Flea eradication without chemicals. I highly recommend reading the EPA's tips as well as their report on the toxicity of the topical flea treatments. *Ohio State University. "Cat Fleas' Journey Into The Vacuum Is A 'One-Way Trip'." ScienceDaily 22 December 2007. 24 January 2010 . This is a really great resource for the community. The Seminole County Extension Services are there for YOU! 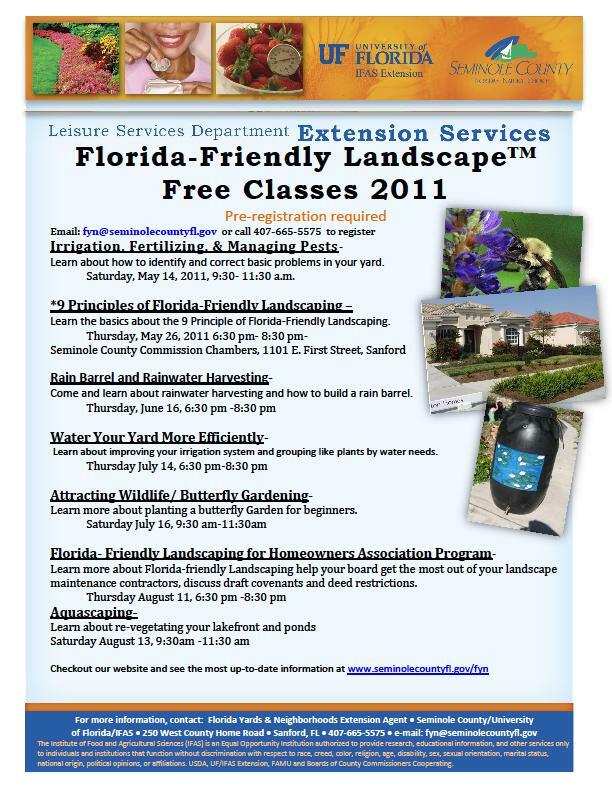 Check out the FREE Classes listed in this flyer! Plus there’s a hotline to call for info about anything you find in your yard! Bugs, weird plants, critters! PLUS you can bring your soil in to be tested so you know exactly what will grow best in your yard or how to amend your soil to grow plants you want! AND, you can bring in a troubled plant and one of the Master Gardeners or Dr. Ferrer himself will diagnose the problem! All in all it’s a great service, staffed with volunteers and just waiting there for YOU! "A side note: I met a woman once who told me that she wraps netting around her Yaupons and other native berrying plants in order to keep the birds from eating up the berries. She complained that the birds were eating the berries so fast that she couldn’t enjoy how pretty the berries looked in the fall. Personally, I find the sight of birds eating berries to be incredibly beautiful and entertaining – in fact, I garden for that purpose — but this woman was willing to cover her pretty shrubs with ugly netting in order to deny a native food to wildlife. I’m truly at a loss of words to explain that one." I had one of my many OMG moments! How hateful of nature and the earth can humans get? We've all watched the videos of humans torturing animals in the name of feeding all of us, or killing the dolphins, poisoning all the pollinators, spilling the oil into animal breeding grounds so we all can drive our cars cheaply. The summer of 2010 wasn't pretty. But when it extends to a one to one relationship like this, I find myself baffled. So I looked up the definition of "Invasive Species" and what do you think I saw? Judge for yourself. Here is the definition of invasive species from a couple sources. ""Invasive species" means an alien species whose introduction does or is likely to cause economic or environmental harm or harm to human health." 2) whose introduction causes or is likely to cause economic or environmental harm or harm to human health. (Executive Order 13112)." Anyone else noticing a pattern here? Humans are and always have been very human-centric but this was a surprise to me. I have always thought of invasives as primarily bad for the native wildlife. As Ms. O'Reilly mentions in her blog, non-natives out compete natives and usually have less nutrition for the native wildlife, leaving the animals and insects without enough food and shelter. But as far as the officials are concerned, it's about human health and harm. Here we really have circular logic, since it doesn't seem most of our officials have figured out that what's good for wildlife IS conducive to human health and welfare! In the meantime humans continue to over populate the planet. Digging into eco-systems they shouldn't even be in, such as the latest Russian exploration into an under-ice lake in the South Pole. We humans spread disease, pollute, dump garbage, kill and destroy everything including our own children and fellow beings. We slice off the mountain tops, flood valleys large enough to shake the earth, and even throw debris up into space! Then we're surprise that gentle nature seems to turn against us! There is only one answer from nature's point of view, lower the number of humans. From my point of view, as a human, I'd like to see us use our brains to wake up and change our ways. We might make some progress in the United States, but I don't know what we can do about dense populations like China. ﻿ ﻿﻿ Nope, there's no doubt in my mind about it; humans ARE indeed the most invasive species on the earth. Nasal Irrigation has been a life saver for me. But as with all things medical, consult your own physician before trying anything that might affect your your health. Now a days most sinus specialists have at least heard of the Neti. Back when I started, I had to take the literature to them! I recommend printing out the University of Wisconsin study (link below) to take with you! Many people are reaping the benefits of the Neti Pot, also known as nasal irrigation. I have been infection free for nearly 10 years and I attribute it to a combination of things, but mainly the Neti. I mix my solution fresh each time. Take ½ to 1 teaspoon of the mixture and drop it into your neti pot. Put 8 ounces of filtered water into a microwave safe cup (I use a Pyrex 1-cup measuring cup) and microwave on high until it boils for at least one minute. I do this to get rid of as many of the by-products of chlorination as possible. Remember, this is going into you head! Once the water is boiling take it out and pour it into your neti pot. Allow the mixture to cool down for several minutes. Most western medicine articles say use at “luke-warm” and most eastern or yoga articles say to use the mixture “as hot as you can stand it” being careful not to burn the delicate nasal membranes. This you will have to decide for yourself. I personally like it very warm, nearly hot. When the neti pot is ready, put the spout into one nostril and tip your head slightly. The water will flow out the other nostril. Some say do this for 20 seconds on each side. I do one 8 oz. pot for each side. The next step is very important. Using breathing techniques, dry the sinuses of the extra water. Try bending at the waste with a clean paper towel and gently blowing out your nose to make a hissing sound. Breathing up through the sinuses as opposed to through the throat is what we’re aiming for. Start this regimen daily about a week before you usually feel a sinus infection coming on. Do it at least ten days in a row. Most sinus sufferers are acutely aware of their sinuses. When I wake and feel that familiar pressure, I immediately neti and the pressure is gone. I’ve even seen bad sinus headaches disappear after performing the neti regimen. Following are several links for your further study. If you suffer from chronic sinus issues it can change your life! Please let me know if you begin to or have practiced some form of nasal irrigation and how it works for you! Proud of our inclusion in the Nature Blog Network! It's all about the planet, our home, for me! I love nature. Everyone and every living thing needs a place to live and that place has to be on the Earth, so we need to keep it healthy and clean! We don't have to sit in the dark without A/C or heat to be good to the planet! It can be done, we can coexist with nature. The point of MarshLand, USA is to be a teaching instrument for the community. Eventually I hope to make it a destination for home schoolers as a science field trip. MarshLand, USA is NOT a 501.3c charitable organization. We fully pay our taxes on any donations. They are NOT tax-deductible. Any donations are used to maintain a web presence, a site that still needs to be built (www.marshland.us)and hopefully streaming video and a microscope for teaching children about water and how alive it is! Follow me on twitter: @HDMarsh for eco-tweets and thank you for stopping by! Please read legal stuff on About MarshLand, USA page.